Sport Horse & Race Horse - Agistment, Breaking In & Training. Abderry is situated in the picturesque Karaka region, about one hour south of Auckland CBD. Cheski Brown and team are professional and experienced horse trainers. 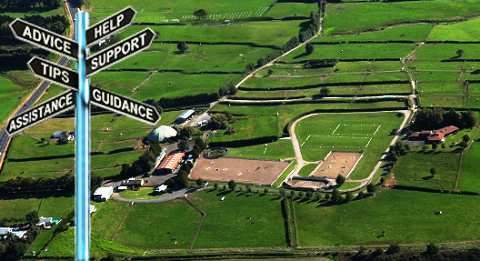 We are an equine training centre, specialising in Agistment, Breaking In (Starting) Sport Horses and Race Horses. In all circumstances we use non-aggressive techniques that give horses confidence, and a clear understanding of schooling and handling. We provide a relaxed, safe environment where your horse can learn at his or her own pace. Please contact us today for more information about Breaking In or Starting your young horses. 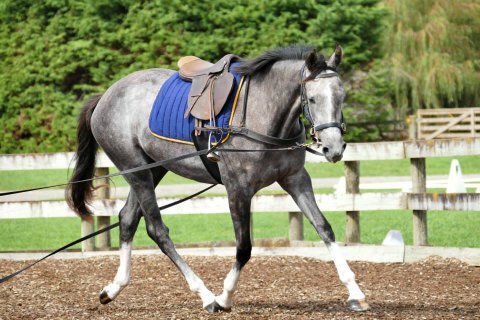 We also offer other equine training services including foal handling, re-education and schooling. We run our own Shows and Clinics, we Hire our Facilities both for casual & regular use and for Shows run by other Groups. Cheski is also a successful and internationally experienced Coach committed to training horses and riders reach their full potential, whatever their discipline.